Dunster by Candlelight (first Friday and Saturday in December) and Dulverton by Starlight (Sunday) are magical events held every year. 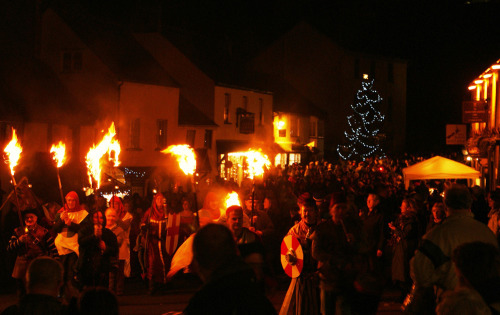 Dunster is one of the best preserved medieval villages in the country and for a couple of days it turns its back on the present day and lights the streets with candles. On the following Sunday, the pretty town of Dulverton is decorated with Christmas trees festooned with lights and the local shops are open for Christmas shopping. Both places have a selection of interesting dependent shops and a charming selection of cafes, tea rooms and hostelries all dressed up in their festive best.